c.1970. Russell Fulmer Shoehorn. 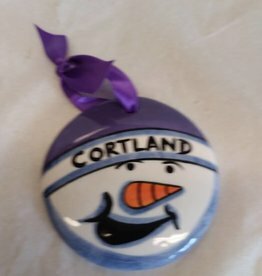 Cortland, NY advertising piece. Collectible. Plastic, 3.75". Good condition. 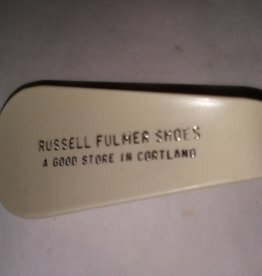 Collectible Shoe Horn Russell Fulmer Shoe Store, Cortland, NY, c.1970, 3.75"
Ceramic, hand painted. 3 3/8"